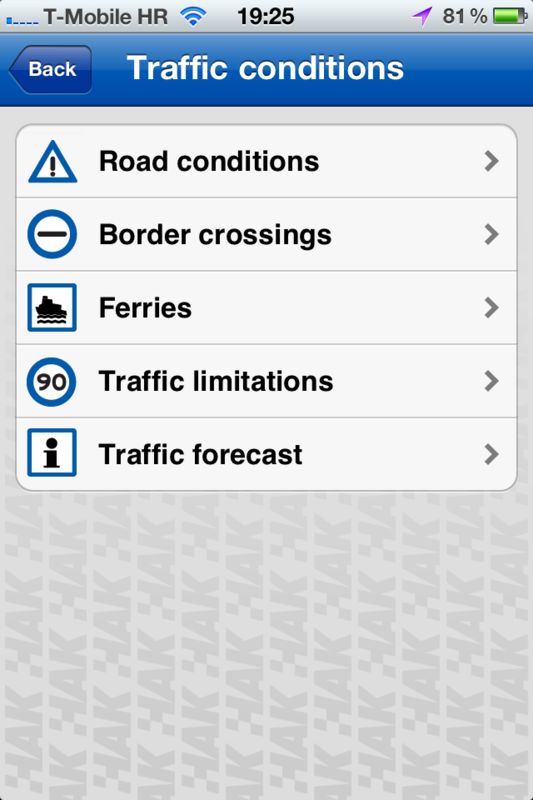 Croatia Traffic Info is a must-have app for tourists traveling to Croatia. It provides detailed traffic and travel information, as well as roadside assistance services and is available in English, German, Italian and Croatian. Did we also mention it's free, and always will be? Ovo je skraćena verzija domaće aplikacije Hrvatskog autokluba i namijenjena je turistima koji dolaze u Republiku Hrvatsku te je dostupna na engleskom, njemačkom i talijanskom jeziku. Domaćim korisnicima preporučujemo korištenje također besplatne, pune verzije ove aplikacije pod imenom "HAK" (http://go.hak.hr/iphone). 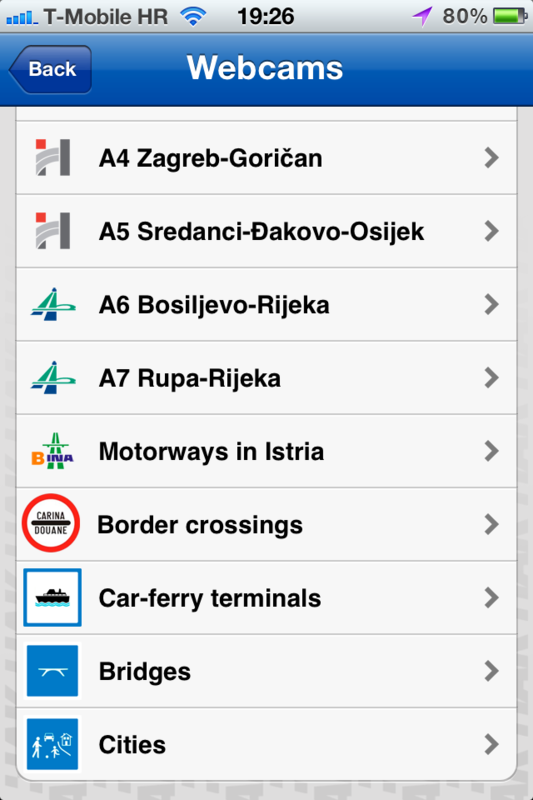 Everything a driver needs when traveling to Croatia is available right here in this app published by the national automobile club in Croatia - HAK. - a comprehensive POI database (15.000+ POIs) consisting of airports, camping sites, banks, ATMs, hospitals, hotels, post offices, post boxes, kiosks, pharmacies, national parks, nature parks, stores and retail chains, tourist boards, police, wellness, etc. 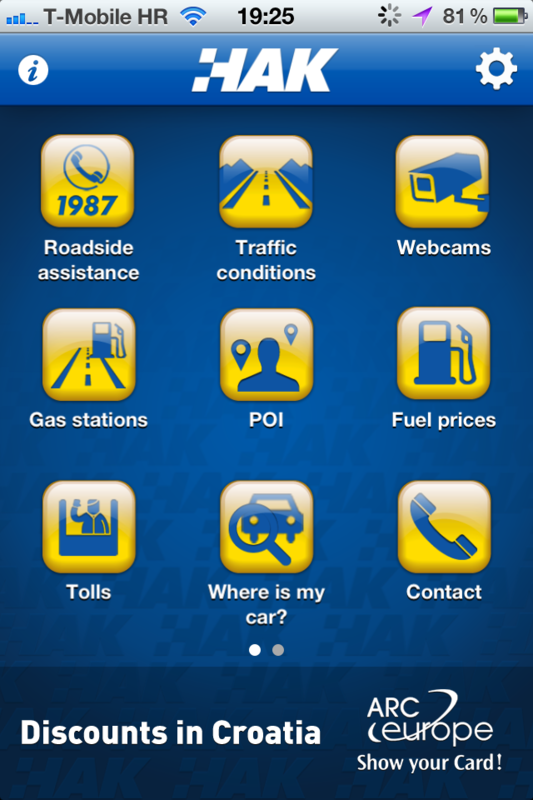 If you would require roadside assistance services anywhere in Croatia, HAK is here to help you. Just press the button for help and our 24/7/365 service center will receive your exact location and help will be on its way. 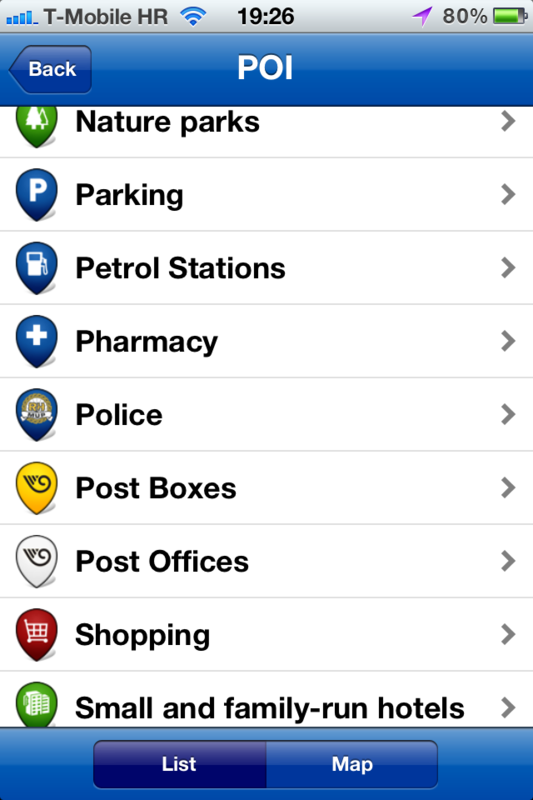 Find your way back no matter where you've parked your car with the WHERE'S MY CAR feature. Save your location when you park and find your way back with turn-by-turn pedestrian navigation (Google Maps). If you find yourself stranded at sea, press the button for help and our partner will organize emergency seaside assistance.